Windy Hill Dunes offers families vacationing in North Myrtle Beach, South Carolina gorgeous oceanfront accommodations and fabulous oceanfront amenities at a North Myrtle Beach vacation resort superbly located in the Windy Hill section of North Myrtle Beach, South Carolina. Each three- and four-bedroom oceanfront North Myrtle Beach condominium is uniquely decorated and accommodates at least eight, though as many as 12 people. 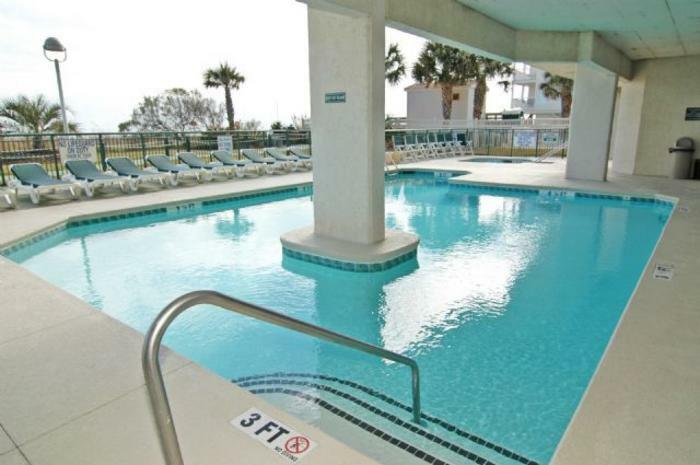 Pick out the oceanfront North Myrtle Beach condominium that best meets your needs. Windy Hill Dunes is a dream North Myrtle Beach vacation for families because while you are here, the beach is your backyard. A wooden boardwalk off the oceanfront sun deck leads you out to the white, sandy beaches where you can spend hours basking in the North Myrtle Beach sunlight while you build sand castles, surf the rolling waves on a body board and walk up and down the shoreline in search of beautiful seashells. Back at your oceanfront North Myrtle Beach resort there is much to do on the oceanfront sun deck, such as take a refreshing dip in the large, oceanfront swimming pool, soothe your tired muscles in the relaxing oceanfront Jacuzzi, watch your smallest children have a blast in the oceanfront kiddie pool and float effortlessly along the oceanfront lazy river. With such terrific amenities, Windy Hill Dunes is bustling with activity and families enjoying wonderful North Myrtle Beach vacations at the oceanfront resort. For well deserved peace and quiet, retreat to your spacious oceanfront North Myrtle Beach condominium where beautiful décor and comfortable furnishings combine for a memorable stay in a fabulous oceanfront North Myrtle Beach vacation rental. Prepare a snack or a meal in the full kitchen and take it outside on the sculpted oceanfront balcony where you can dine al fresco and gaze at the natural beauty of the Atlantic Ocean. Sunlight twinkling on the water, warm coastal breezes and the distant sound of laughter on the beachfront are a terrific beginning to a wonderful North Myrtle Beach vacation in North Myrtle Beach, South Carolina. Elliott Beach Rentals is not affiliated with onsite management or the HOA of Windy Hill Dunes.